I am seriously geeked to review the Yearly Membership from SchoolhouseTeachers.com. My daughters love the variety of the Elementary Homeschool Courses that are available. And it’s helped them become more excited about homeschool days. But before I even begin describing the product, I want to praise the SchoolhouseTeachers customer support team. 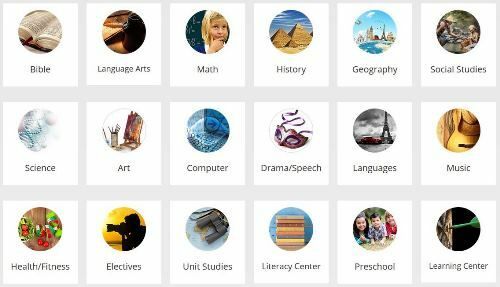 If you are new to SchoolhouseTeachers.com, I suggest first going to the START HERE section, located on the top left of the menu bar. There are a lot of resources to go through, so this would be your best option. Click Considering Membership to get an introduction and video tour of the site’s main features. Because my family needs help with math, chemistry, and history, I went to the Focused Learning Centers. There, I found help with math for my youngest. And science activities for my hands-on learner. In Focus on Math, I found Building a Foundation with Kindergarten Math. It has been an amazing tool so far. My young one awakes ready to engage in learning math now. (Although, in-house, we call it homeschool games.) For my oldest, I chose Focus on Science. She is very interested in mixing things together to make something new. So, we went with Chemistry: All Things Matter. We’re looking forward to the experiments at the end of each lesson. Especially the ones that involve food. What I’m enjoying the Focused Learning Centers is that they go a step further. It’s not just me choosing a subject by grade level. The Learning Centers help me present the subjects in a different way. In my case – a more engaging way. I had to go a different direction in history, though. My search for engaging history lessons took me to the Video Library and Drive Thru History. Instantly, I became ‘supermom’ with my oldest daughter. I had found World History that kept her interest. That educated and entertained her. I’m really looking forward to American history. Clicking on Help with Reading in the Focused Learning Center took me to the Literacy Center. There, I saw the availability of online books that the computer reads to your child. (Score!!) I immediately clicked on the Trek’s Travels link. Because it is a series of books that can be read to her, I thought it could occupy her time while I make dinner. My daughter loves her read aloud time. But I kind of like feeding the kids every so often. Clicking on Trek’s Travels took me to World Book. Another amazing tool that’s included in the SchoolhouseTeachers.com Yearly Membership. After letting her loose in the Early World of Learning section, we moved on to the Kids section. We found a lot of printable mazes. My kids were in heaven. Don’t just take my word for it, though. You don’t even have to pay attention to the excited faces of my kids. If you want to see the opinions of other homeschool families and learn how they’ve used the SchoolhouseTeachers resources, go here. After all, every homeschool is different. And SchoolhouseTeachers.com has something for everyone. Click the link and see what resources there are for your family. And if – by chance – you don’t find what you’re looking for, contact their great customer support team. They’ll take care of you. Take advantage of SchoolhouseTeachers.com’s 2018 Fresh Start New Years Special and Save! SALE – New Members ONLY.